May is National Cancer Research Month, a time designated to recognizing the importance of all who contribute to the fight against cancer. Decades of research have led to dramatic advances in the detection and treatment of many different types of cancer. There are now more than 15.5 million cancer survivors in the U.S.—more than at any other time in history. In 2016, 67% of those survivors have lived at least 5 years after diagnosis; 44% have lived at least 10 years, and 17% have lived 20 years or more following a cancer diagnosis. However, the fight is far from won. Each year, cancer kills more people than malaria, tuberculosis, and HIV combined. Steadfast dedication to research is essential to our ability to continue the progress that we’ve begun over the past few decades. The Pap test makes early cervical cancer detection possible, allowing doctors to treat cancers and precancerous conditions before they worsen and spread. Since the 1950s, widespread use of the test in the U.S. has contributed to a 70% reduction in cervical cancer deaths. The first partial remission of pediatric leukemia is achieved using the drug aminopterin, paving the way for later cures. Prior to this time, children suffering from acute leukemia typically died within weeks of diagnosis. Combination chemotherapy is shown to cause remission in children and adults with acute leukemia, setting the stage for modern chemotherapy. Research shows link between tobacco smoking and cancer. Smoking becomes established as a major cause of lung and other cancers, giving rise to smoking cessation initiatives aimed at decreasing the rate of lung cancer worldwide. The overall cure rate for leukemia reaches 10%, up from 4% in 1962. Flexible sigmoidoscopy and colonoscopy advance colorectal cancer screening, enabling better detection of early cancers and precancerous polyps. Increasing use of routine screening will contribute to a reduction in colorectal cancer mortality of more than 40% over the next four decades. Overall leukemia cure rate reaches 15%. President Nixon announces a national War on Cancer in his State of the Union address and signs the National Cancer Act, providing unprecedented funding levels for the National Cancer Institute and dramatically expanding research. Total mastectomy is shown to be an effective alternative to radical surgery for early stage breast cancer, reducing pain and speeding recovery for patients. The first clinical CT scan is performed on a patient with a suspected brain tumor, allowing doctors to clearly image a tumor in the brain’s soft tissue for the first time. Leukemia cure rate reaches 27%. A new drug combination is shown to cure 70% of patients with advanced testicular cancer, leading to a modern overall cure rate of 95%. Lumpectomy followed by radiation is shown to be as effective as mastectomy for early stage breast cancers, allowing many patients to enjoy quicker recovery and fewer side effects from treatment. Regular mammography screening becomes increasingly common. By 2008, the screening rate will approach 70%, contributing to a 27% reduction in breast cancer mortality in the U.S. between 1975 and 2010. Leukemia cure rate reaches 35%. Leukemia cure rate reaches 44%. Researchers find that chemotherapy following surgery reduces the risk of colorectal cancer and refine treatments for optimal benefit. Leukemia cure rate reaches 52%. Cancer mortality rates begin to decline for the first time since records have been kept. The rate fell by 2.6% between 1991 and 1995; by 2008, it will have fallen by a total of 18%. Leukemia cure rate reaches 61%. A series of large, annual budget increases for the National Institutes of Health (NIH) doubles the agency's biomedical research efforts over the next five years, accelerating the pace of cancer research. The Iowa Radon Lung Cancer Study links radon exposure to increased risk of lung cancer. The finding leads to radon inspections becoming a routine part of homeownership. Leukemia cure rate reaches 69%. A large study links obesity to cancer, estimating that obesity could be a cause of up to 20% of cancer deaths. The Cancer Genome Atlas project is launched. The project’s aim is to provide insight into the genetic pathways involved in the development of three common cancers in hopes of identifying new treatments. Overall leukemia cure rate reaches 90%. As you can see, we’ve come a very long way as a result of cancer research. Only through relentless dedication to this field of study will we be able to continue the progress that we’ve enjoyed during our lifetimes. The Cancer Moonshot Initiative, announced in President Obama’s final State of the Union speech, and the passage of the 21st Century Cures Act in 2016 gave cancer researchers reason to celebrate: the act provided an additional $4.8 billion to the National Institutes of Health, $1.8 billion of which was reserved for cancer research. However, a preliminary proposal for the 2018 budget includes $5.8 billion in cuts to the NIH—reversing the funding provided by the 21st Century Cures Act and reducing the budget by an additional $1 billion. The American Cancer Society Cancer Action Network (ACS CAN) is dedicated to influencing policy nationwide to fund cancer research, support patients, broaden access to care, and spread the word about prevention. 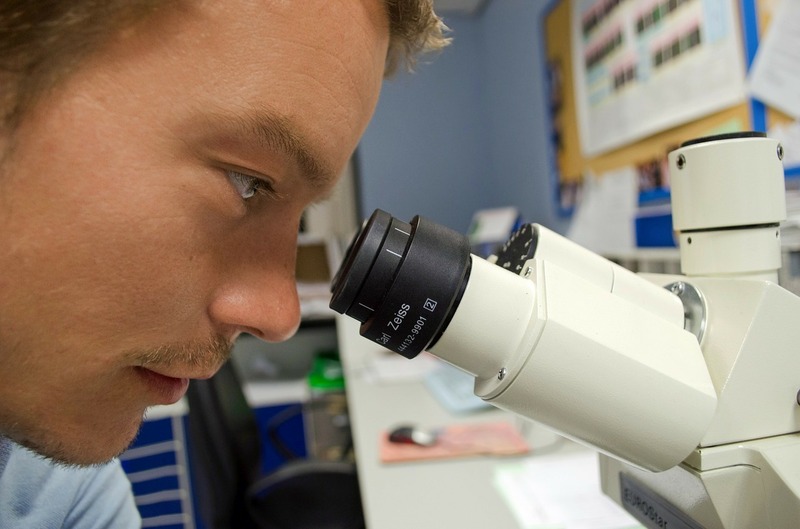 Learn about how ACS CAN is working to advance cancer research here. Iowa Radiology strives to be a valued information resource as well as a provider of cutting-edge care. 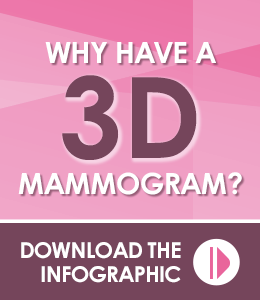 Click the link below to view our infogarphic about the benefits of 3D mammography for early breast cancer detection. "Statistics." CancerControl.cancer.gov. National Institutes of Health, 17 Oct 2016. Web. 6 March 2017. "Cancer Research Saves Lives." YouTube. American Association for Cancer Research, 24 April 2013. "Progress and Timeline: Major Milestones Against Cancer." CancerProgress.net. American Society of Clinical Oncology, 15 June 2010. Web. 6 March 2017.